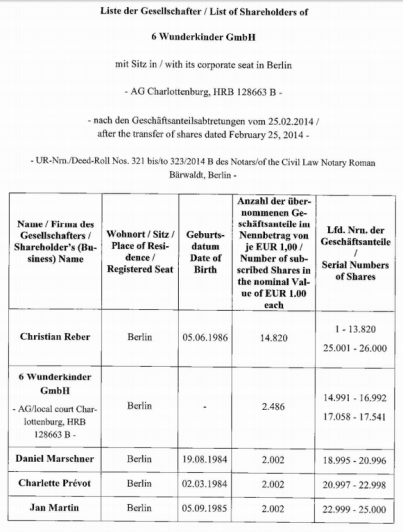 Care to have a look at the list of shareholders in 6Wunderkinder, the Berlin upstart that was just acquired by software behemoth Microsoft? Here it is, with some interesting side notes. 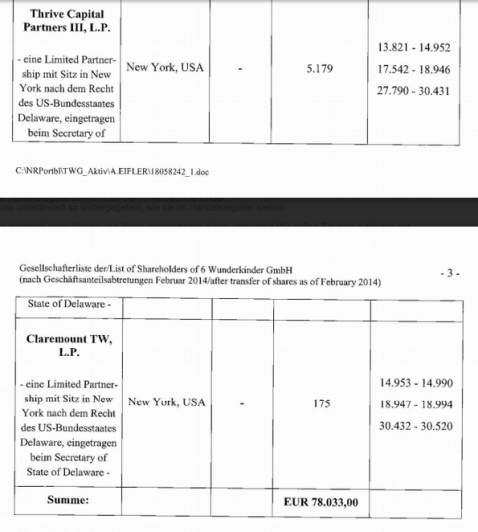 The nice thing about a ‘Gesellschaft mit beschränkter Haftung’ (GmbH) is that the list of shareholders in this type of German company is publicly available information. 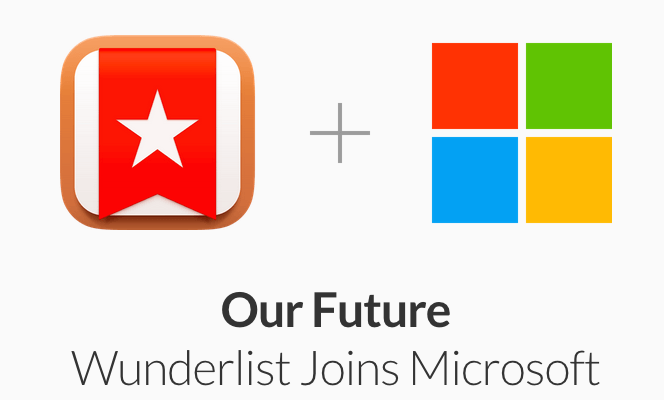 So, please find below the list of shareholders of 6Wunderkinder, the Berlin-based maker of productivity app maker Wunderlist that was just acquired by Microsoft (reportedly for between $100 million and $200 million). Or at least the list of shareholders at the end of February 2014. Nothing earth-shattering to be found in the list, although a couple of things stand out. 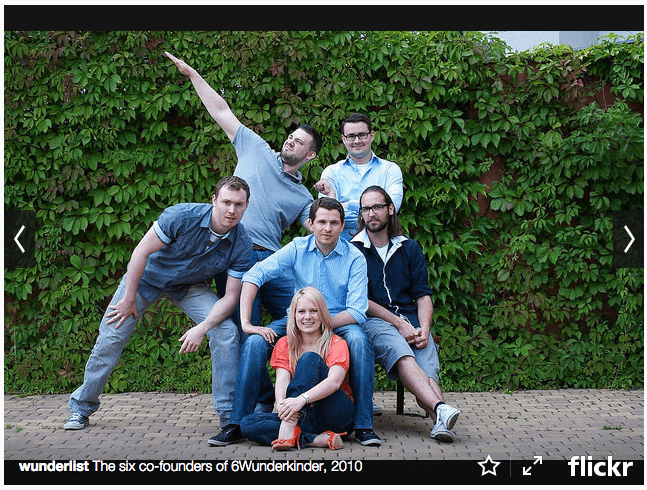 One is that apparently the company should have been renamed 4Wunderkinder at some point. 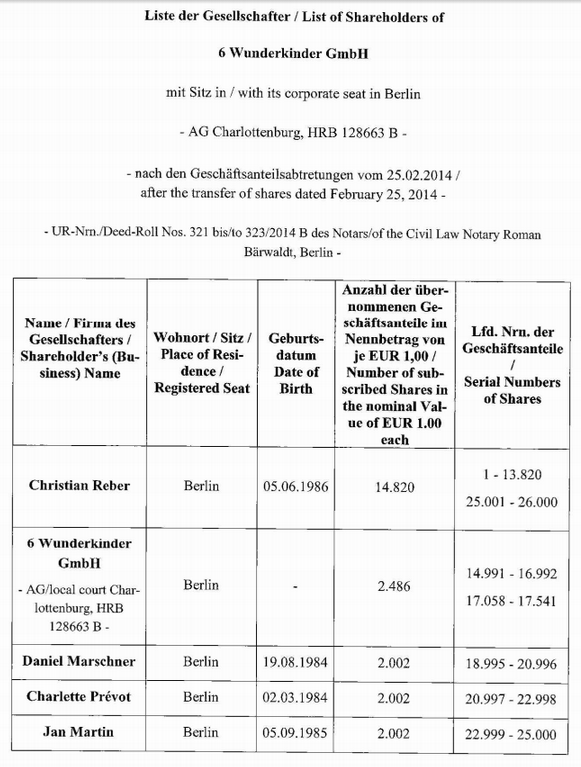 By February 2014, only four of the six ‘wunderkinder’ that founded the company in 2010 were still listed as shareholders. Missing in (trans)action: Sebastian Scheerer and Robert Kock. Christian Reber, the man at the helm of the startup, still owned 19% equity in the company when this list was filed over a year ago. Nothing says that percentage hasn’t changed since then, but if so, probably not significantly. 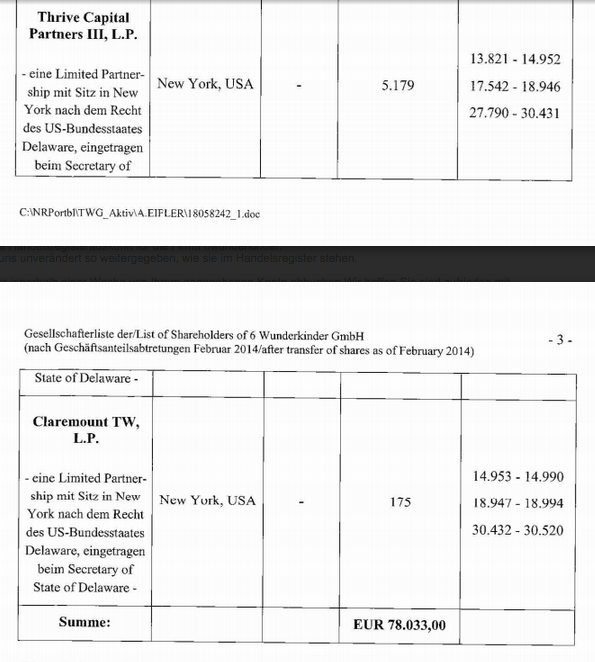 The other three co-founders still on the list – Jan Martin, Charlette Prévot and Daniel Marschner – owned about 2,000 shares each (or 2.57% apiece) back in February 2014. Did you know Thrive Capital, a NYC-based venture capital firm founded by Joshua Kushner, was an investor in 6Wunderkinder? Neither did I. That was certainly never publicly announced, whether a primary or secondary transaction or whatever, but there they are on the list of shareholders. The firm held relatively ‘old’ shares (you can tell because they are numbered) so that’s a bit of a head scratcher as far as I’m concerned. 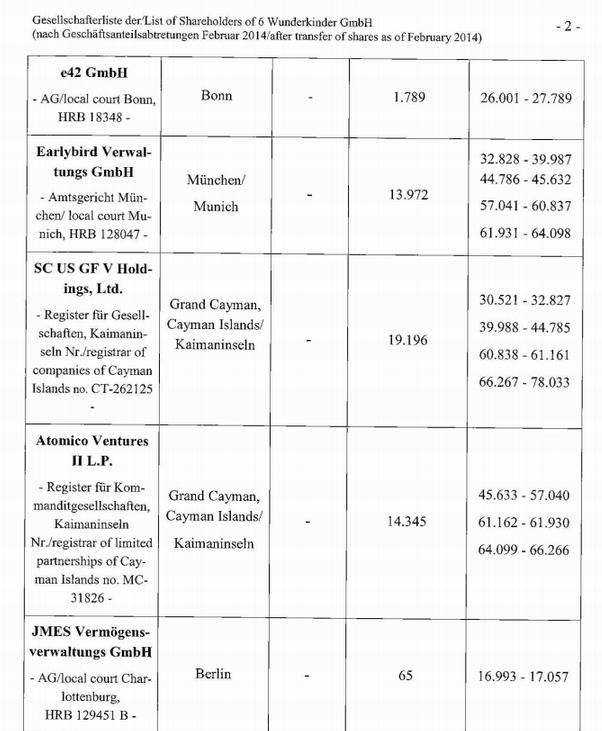 Finally, also to be found on the list: JMES Investments, the ‘seed investment’ company formed by the same people behind Factory Berlin, which 6Wunderkinder also coincidentally calls home. I’m sure there’s a half decent story behind that, too. Anything else that you find interesting?